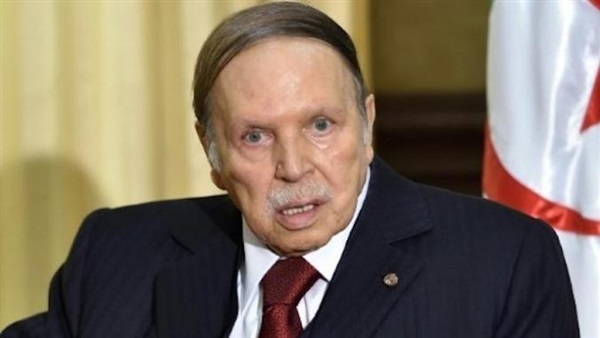 Saudi Crown Prince Mohamed bin Salman (MbS) could not meet during his two-day visit to Algeria with President Abdelaziz Bouteflika who, according to his office, is suffering from acute flu. The Saudi royal arrived in Algiers Sunday for a two-day visit, but his planned meeting with President Bouteflika was cancelled due to an acute flu. This is not the first time that planned meetings between Bouteflika and foreign officials are cancelled at the last minute due to “acute bronchitis” or “acute flu”. Bouteflika, in power since 1999, has made rare public appearances since he suffered a stroke in 2013. The 81-year old leader has been glued to a wheel chair since then. His last public appearance with a top foreign official dates back to September 2018 when he met briefly with German Chancellor Angela Merkel. Failure to receive the Saudi heir to the throne will swell speculations about the former army commander’s ability to run for next year elections that his entourage and allies want him to stand for. Several public figures and organizations have however urged him to renounce the move. Written by: KanelkaTagba on December 4, 2018. Posted by KanelkaTagba on Dec 4 2018. Filed under Headlines, World News. You can follow any responses to this entry through the RSS 2.0. Both comments and pings are currently closed.